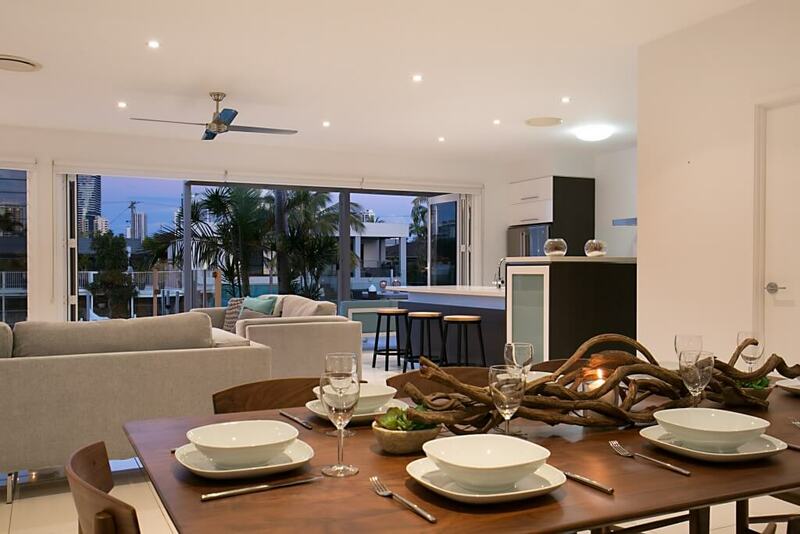 It is with great excitement that we introduce to you our brand new Elite Holiday home in Broadbeach – Tranquil Keys! 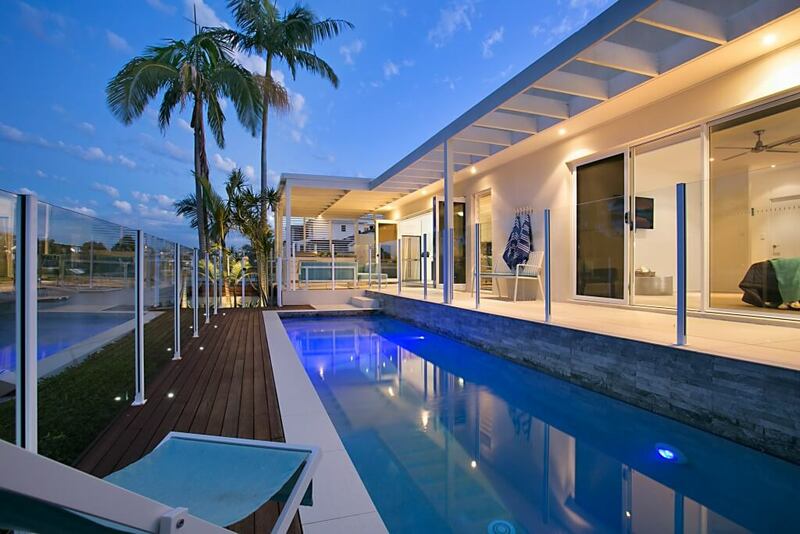 This stunning 5 bedroom property is absolute waterfront luxury at an extremely affordable price. The large open plan living dining and kitchen areas lead out to an extensive outdoor poolside entertaining area. 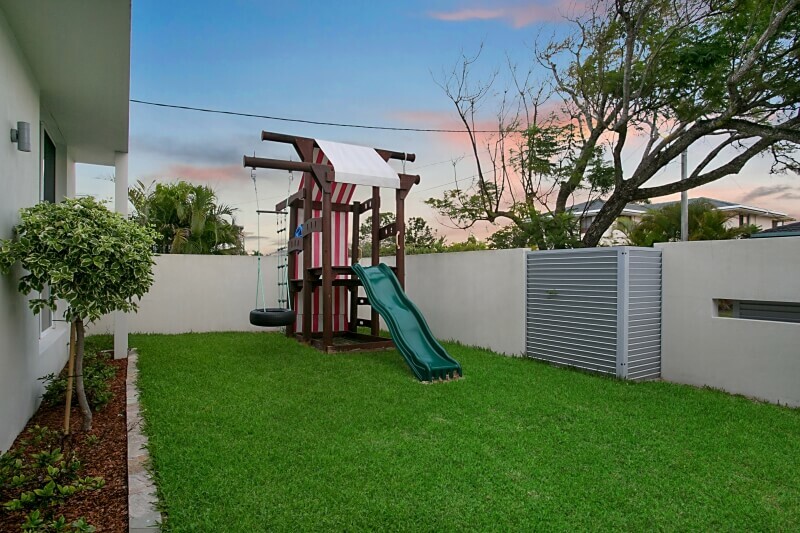 Boasting stunning views of the Broadbeach skyline and conveniently located within walking distance of the heart of Broadbeach, this brand new property is perfect for a family holiday or for corporate accommodation. The beautiful outdoor entertaining area at our Tranquil Keys property features a quality BBQ and food preparation area with a deck overlooking the water. There is also a great outdoor play area for the kids. on the lush, grassy front yard. Fitted out with quality appliances, gas stove and full cooking facilities, this beautiful kitchen will have you wanting to cook, we can even organise to have the kitchen stocked with groceries and drinks on your arrival. If cooking really isn’t your thing, we can recommend a personal chef. The spacious, modern dining area has enough space to seat up to 10 guests looking out onto the outdoor entertaining area and skyline. Like many of our Broadbeach holiday homes, Tranquil Keys is just moments from everything Broadbeach has to offer, including the incredible beaches the Gold Coast is renowned for.